Winter has finally arrived and it’s time to step up the smoothie game! 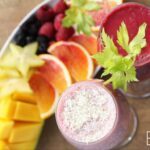 I am a huge fan of smoothies since it is really the fastest way to get in your daily vitamins and to add in some extra boosters. 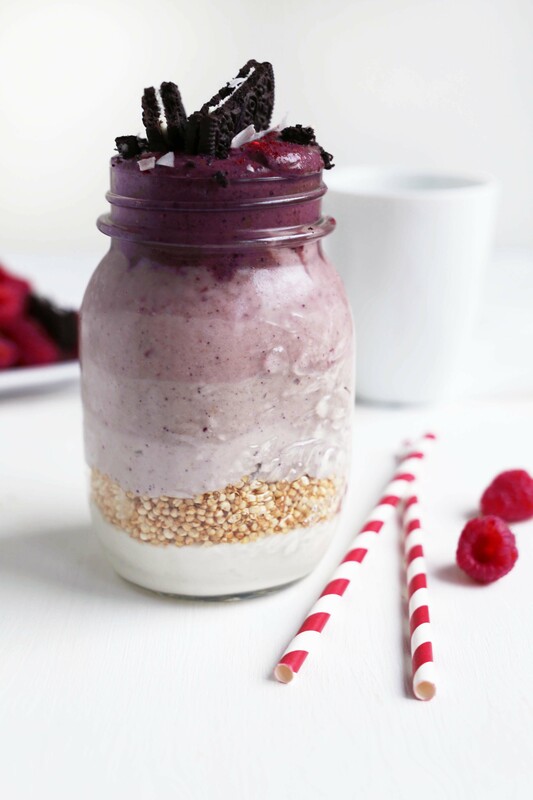 Nourish yourself with antioxidant-packed smoothies that even taste better than they look! This Purple Corn smoothie delivers an epic dose of health-promoting antioxidants thanks to the purple corn and the blueberries. Purple Corn has this intense purple color due to a high amount of flavonoids. Flavonoids belong to the category of Antioxidants, which we find in fruits such as blueberries. As well as being powerful antioxidants that keep us looking young and protected from disease, they promote blood flow and reduce cholesterol. With all the good stuff packed in this smoothie will get you through winter with it’s rich source of vitamin B1, Vitamin K, copper, magnesium, manganese, phosphorus, potassium and zinc. 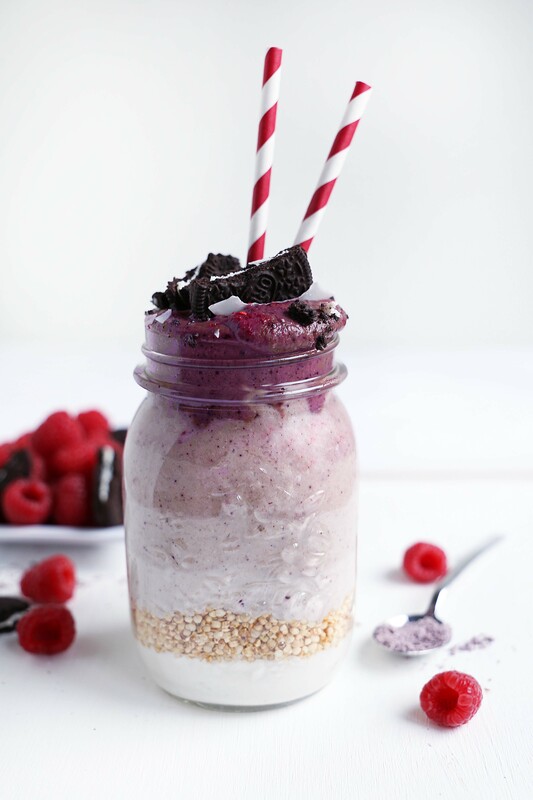 I thought it is fun to make an ombre layered smoothie as the purple color was so pretty! I decided to layer with popped quinoa, but you can also add fresh fruits, nuts, rawnola, chocolate and more. Want to copy the jar that I made? See how to in the recipe below. Place all the ingredients except for the purple corn powder, blueberries and acai powder in the blender and process until well combined. For the ombre layers, add gradually more purple corn powder. Just for the last two layers add the blueberries and then for the last the acai powder to make it extra colorful. Layer with popped quinoa and enjoy immediately. Today’s post is sponsored by Terra Elements! 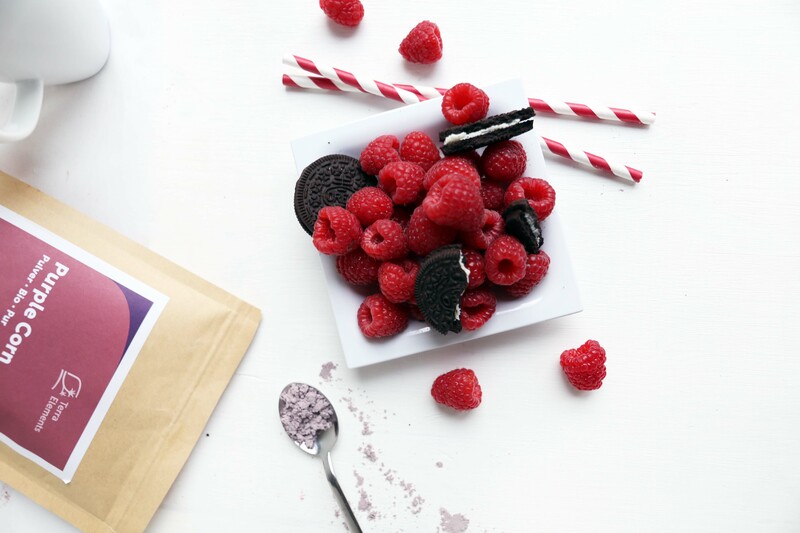 Their superfoods are taking a “normal” smoothie to the next level. 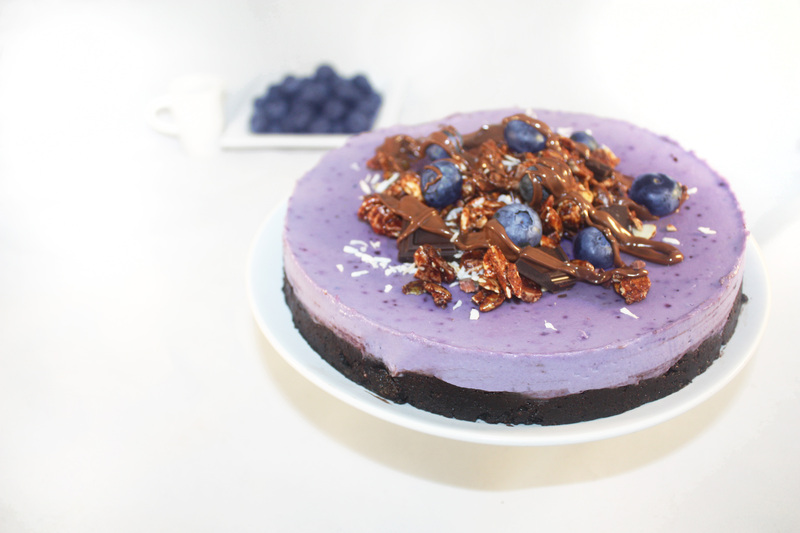 For this recipe, I used their purple corn powder, Acai powder and Bourbon Vanilla (Link) with this recipe and they were all three ON POINT. Wow, das gseht efach nume mega hübsch us! Hoi Lena! Ohh du musst das unbedingt ausprobieren es ist so vielfältig verwendbar! Purple corn extract is derived from purple corn, a plant that belongs to the same species as yellow table corn, but contains vividly-colored biologically active natural plant dyes. Native South Americans have been using the dyes, known as anthocyanins, to color food and drinks for centuries. 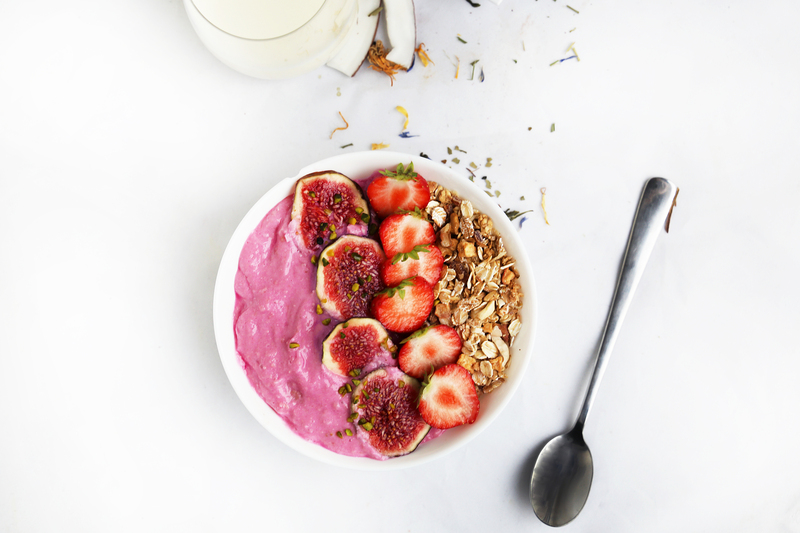 Anthocyanins are flavonoids, a category of antioxidants being studied for their potential health benefits. Purple Corn has a higher antioxidant capacity than blueberries with anti-inflamatory abilibities promoting tissue regeneration. Studies indicate Purple Corn may reduce the risk of cardiovascular disease, inhibit abnormal cell growth, promote collagen formation and improve circulation. This makes it an excellent option for Gluten-free nutrition baking. Use Purple Corn wherever you would use regular corn flour, corn meal, or as a substitute for other flours. It can be used in raw chocolates, breads, tortillas, pancackes, muffins and cakes. What exactly is “purple corn powder”? Also, what brand pop quinoa do you prefer? Thanks!